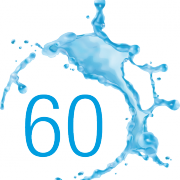 In 2017, IHE Delft, the Delft-based Institute for Water Education celebrates 60 years of solving water challenges worldwide. Starting in 1957, with its first course, IHE Delft has pursued efforts to increase the capacity of developing countries to manage their water resources, increasing security from disaster and expanding access to clean water and sanitation, especially for the poor. Today, IHE Delft is the largest graduate water education facility in the world with over 15,000 alumni from around 160 countries. The Netherlands became renowned for its expertise in the field of hydraulic engineering solutions, after the devastating North Sea flood of 1953. At this time an ambitious flood defense system - the Delta Works - was conceived and deployed. In 1955 this led to several developing countries inquiring about the possibility of having their engineers trained in hydraulic engineering in The Netherlands, leading to the first 'International Course in Hydraulic Engineering', and inspiring the set up of the Institute (now known as IHE Delft) in 1957. Since 1957, the Institute has provided graduate eduaction to more than 15.000 water professionals from over 160 countries, the vast majority from the developing world. Read our full history here. In 2017, the 60th anniversary celebrations will look back to the Institute's education of qualified professionals, research efforts and contribution to the building of individual and institutional capacity to respond effectively to water challenges. The year will also look ahead to the coming challenges and opportunities, including those embedded in the Sustainable Development Goals (SDGs) especially SDG 6 (providing access to clean water and sanitation). One of the oldest courses at IHE was the International Course for Hydrologists, which started in 1966. Over its 50 year history, the Hydrology Course has become one of the renowned international graduate programmes. Since 1966, more than 1200 professionals from 90 countries have studied and graduated from the course. Today, the hydrology course is one of the specializations in the Master of Science programme in Water Science and Engineering. Many people know the Westvest entrance, but what's actually happening behind that facade? On Saturday, June 10, IHE Delft opens its doors to the public. Marja van Bijsterveldt, Mayor of Delft, will officially open the day at 10.30 hrs. For more information and the programme, click here. More 60th events throughout the year will be communicated soon. The Water Sector Market provides the opportunity for the private and public water sector to get acquainted and build relations with the international student population of IHE Delft. Organizations attending the market have the opportunity to get acquainted and start building long-term relationships with our international MSc students and PhD fellows, originating from developing countries and countries in transition. Read more about the market here. On 24 April 2017, the Institute celebrated its 60th anniversary. The conference was attended by staff, students, alumni, partners and livestreamed for the benefit of partners and alumni around the world. Together, we explored how to further adapt to the changing geopolitical, economic and cultural global landscape, to meet challenging water related issues in a development context. This resulted in a lively discussion about the role of IHE Delft in this changing landscape. Read more here.